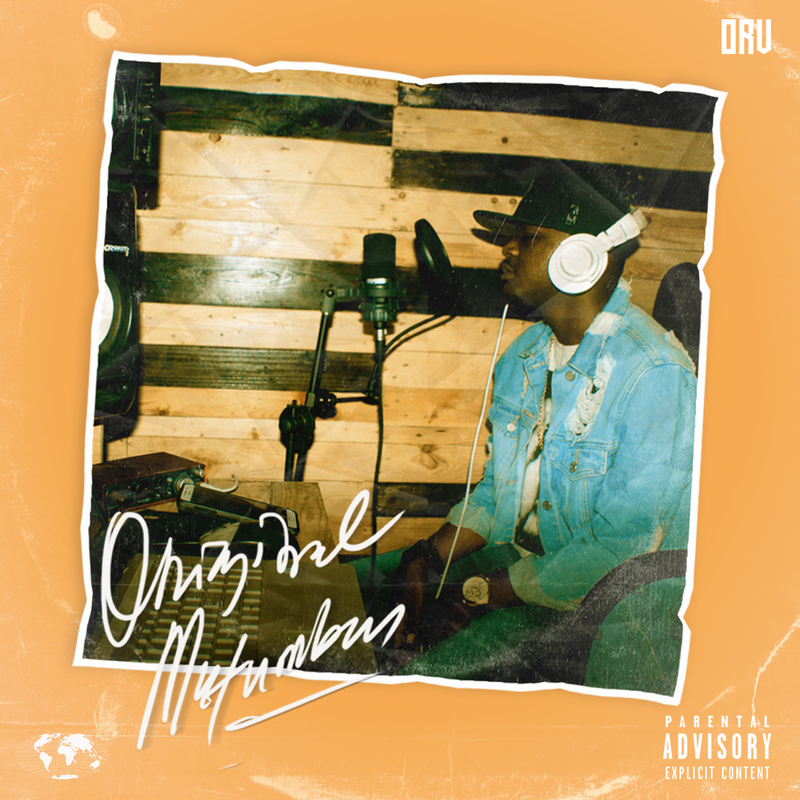 “Original” means authentic, genuine, real, bona fide, true etc; it is the earliest form of something from which copies maybe made and “Mutumbu” is a pidgin word that means music. So in essence “Original Mutumbu” means “authentic” “genuine” “real” or “true” art of music. It’s Big Game’s first official project and it comprises of 8 songs of which two out of the eight were earlier on released as singles by the rapper. The EP opens with a trap song called Competition No Dey produced by a young and fresh new producer in the industry called Mayo Beatz and it was mixed and mastered by Dijay Karl. On the record Big Game is showing off his true rapper identity with a perfect mastery of what he terms “Hip Hop Theory” which is a combination of all the different skills a top-notch emcee is supposed to possess from technique to bars to flow to delivery to punch to syllabus and so on. It’s Hip Hop in its purest form and color with Big Game confidently affirming his place as one of the illest emcees of his generation from the Central African sub region. It’s the first track on the project because the rapper wanted the audience to see the original side of his music and where he comes from as an artist. The second song on the project is Limi Da Ya Tori produced, mixed and mastered by Mageek Feengaz. The song is built on an instrumentation that is influenced by the sawa sound of the Littoral Region of Cameroon. The local Bassa influenced instruments are evident on the record from the flutes to the melodies, rattles, drumline and bass. On this record Big Game went in like he always does with witty bars, talking about the usual everyday life of the average girl living in the hood in Cameroon and depending on boys or men for money to sustain her needs and keep her head above water. The project further unfolds with Mado; produced, mixed and mastered Mageek Feengaz. Mado was earlier released by the rapper as a single in prelude of the EP. On the record Big Game is talking a girl he lavished his money on from eating in the finest restaurants to sleeping in the finest hotels and later on ended up with nothing. Big Game is also trying to make men understand that it’s wise for them to go after women who fit their budget to avoid them ending up in embarrassing situations. The fourth track on the EP is Ah Nodi Hear Notin’ still produced, mixed and mastered by Mageek Feengaz. On the uptempo record Big Game is defending his lady against naysayers talking negative of her, saying she is “la maboya du quatier” meaning “she’s a hoe in the hood”. Big Game is siding with his woman against whatever people have to say and is insisting on holding his lady down regardless of public opinion. Shu Moi Ton Numba produced, mixed and mastered by Mageek Feengaz is the next song on the EP. On this record the rapper and his producer try to push the culture sonically by proposing something unheard of to the Cameroonian public. The mid tempo song is more Afro Fusion with Big Game going at lady and trying to seduce her and get her phone number so he can hit her up later and give her game to eventually sweep her off her feet and make her his. Guys are definitely going to be loosing their girlfriends to Big Game after the ladies listen to this song, Ooops LOL!! The project rides on with Some Love featuring the beautiful song bird Krys M. The song is produced, mixed and mastered by Mageek Feengaz and the vibe on this record is blend of Cameroonian Makossa and West African Afro Beat. On this record Big Game and Krys M are celebrating love, the rapper is bearing out his heart an spilling the emotions from deep in and Krys M too is reciprocating the emotions and telling her man that she’s going to be his “Don Mama”. It’s a record for people in love to jam to and tell their partners how important they are to them. Moving on, there’s La Chose Là produced, mixed and mastered by Dijay Karl which is the record through which a lot of Cameroon’s urban music audience got to discover Big Game as that kid on the block gifted with the lyrical potentials to stamp his name amongst the best that ever did it from Cameroon. The record definitely holds a strong place in the hearts of all Big Game’s fans and it was only just it figures on the project’s track list. The EP finally ends with Topoh, produced; mixed and mastered by Mageek Feengaz. The record is sonically a blueprint in itself as the record producer comes through with a vibe never heard of before. The instrumentation is built on samples of Jazz Music and the rapper goes in on the record in four different languages that is Pidgin English, English, French and his vernacular Basso. On the record Big Game is saying what he normally does when he jumps on every beat thrown at him which is to “Topoh” which is a pidgin word for “talking”. Big Game is obviously known for being too lyrical on all his songs, talking too much and saying exactly what’s in his head and his heart with the right feeling connected. The song is a little lay back and ends some seconds after two minutes thus perfectly fitting the concept of an outro after haven journeyed through seven lyrically armed songs. The musical direction of the project is a signature of Big Game’s traditional “Afro Hip Hop” style of music. The music is influenced by sounds across Africa blended into contemporary Hip Hop and sung in Pidgin English, English, French and his native Basso from Babadjou in the Western Region of Cameroon. The project is a teaser to who Big Game is, as an artist and also an evidence of Big Game’s talent and thirst to build an artistic credibility that will end him as one of the best that Cameroon and Africa ever had. We hope you love this EP as much as he loved making it!